Madison here! It's been a while since I've shared anything with you. Seems like mommy has totally taken over my blog. That's what happens when you retire from the military and have nothing but time on your hands. I think she needs to start her own blog but who am I to give advice. After all I'm only 3 and still watch Disney Junior. 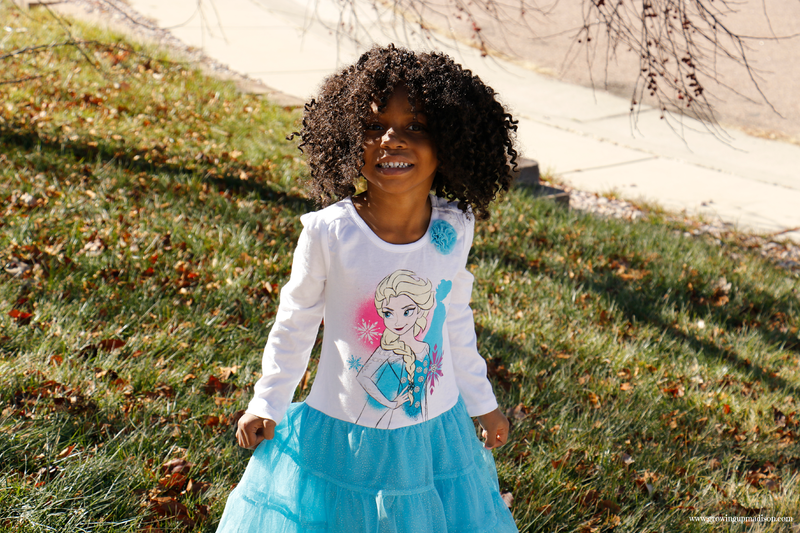 Speaking of Disney, the children’s department of JCPenney just got a little more magical with the addition of the affordable and stylish new line of Disney apparel for toddlers and preschoolers called Disney apparel by Okie Dokie. I have to admit that I was so not ready to "Let It Go" and I'm sure your own little ones might not be. I saw so many Queen Elsa's on Halloween and I even wore her costume that day myself. It is great to know that I can dress in her clothing all year round. The new collection launched this October and includes playful, mix-and-match long sleeve tees, fleece hoodies, pants, leggings, dresses, and tutus featuring Elsa and Anna from Frozen, Cinderella and The Good Dinosaur, Disney-- Pixar's new animated film in theaters this Thanksgiving. The line will be updated each season with beloved Disney characters and I can't wait to see what they are. 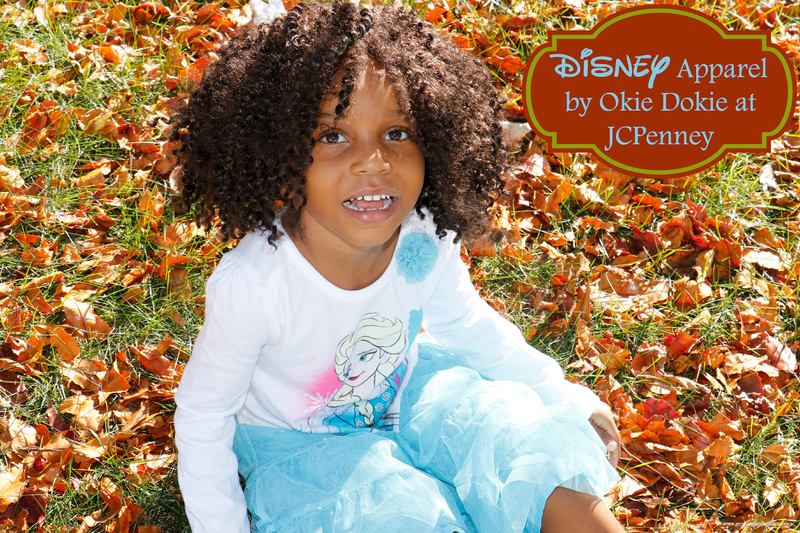 Disney apparel by Okie Dokie (SRP: $16-$36) is available in sizes 2T to 7 on the website and in all JCPenney stores. This isn't your run of the mill clothing line. The clothing is well made and I was truly impressed. I am pretty tall for my age and I wear a size 4T but the dress I am wearing is a 5T. 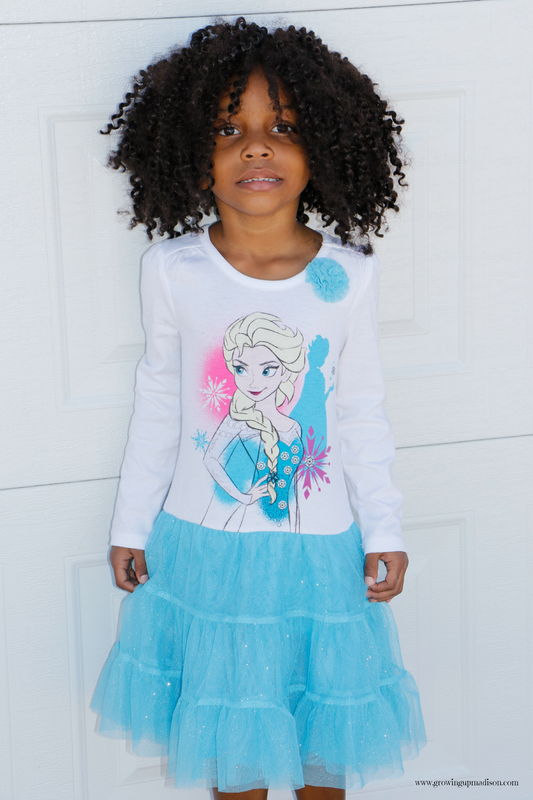 Made of cotton and polyester, it's the perfect dress for all your Frozen fans. Okie Dokie knew that tutus were in and also knew what us little girls liked so they made it in the current styles that everyone is wearing. I truly felt like a princess with my dress on and to be honest I really didn't want to take it off. Don't despair for those with little boys. The Disney Apparel by Okie Dokie caters to you too. We were able to check out some of the adorable Good Dinosaur apparel that are available for you. From hoodies, tees and sweats, all season appropriate. I can't wait to see what new line is coming out because I so want to get a few more outfits. Mommy can't complain because the prices aren't going to break her wallet so that's another plus. 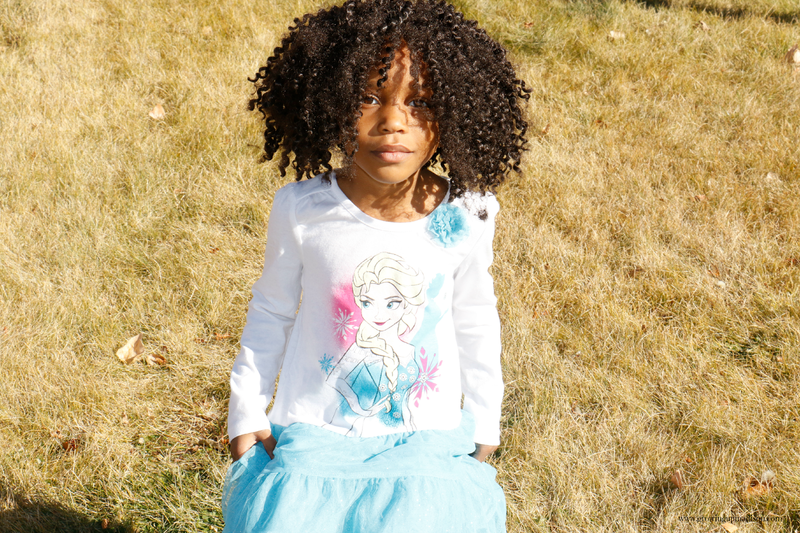 So if you have a little one that is totally infatuated with Disney like I am, I say take a trip to your nearest JCPenney store, or even shop online and pick up a few pieces. Your kids are going to love you even more for it. This line totally gets my TWO TINY THUMBS UP! Madison looks so pretty! I love that dress. We shop at JCPenney a decent amount so I am going to have to look for this collection on our next visit. I am sure that my daughter will love it! Thank you and she didn't want to take her dress off. I think you should check them out. They had one that was also purple that I just LOVED. They are currently on sale so I might still get it. OMGeee Madison is too cute in her Elsa outfit. I love JCPenney's clothing and this is one that I have to check out the next time I'm in the store. They're usually pretty reasonably priced and make great gifts. They sure are reasonably priced. They also make great gifts as you said, especially for those Frozen fans. What a beautiful outfit, Madison!! Scarlet will love the Elsa outfit. Des would love the dinosaur outfit. Actually, Scarlet probably would too! I'm sure Scarlet would love them all and I can't wait to see what they come out when they make their new line. She is just tooo cute and that Elsa outfit just looks absolutely darling on her. I think my niece would love that. She's a huge Frozen fan too. Thank you Adrienne. I plan on going to JCPenney and seeing what they have left at my store especially since I checked and noticed that the line was now on sale. I Love that Dress! We also got a few Pieces from Okie Dokie recently and can't wait to post about it.